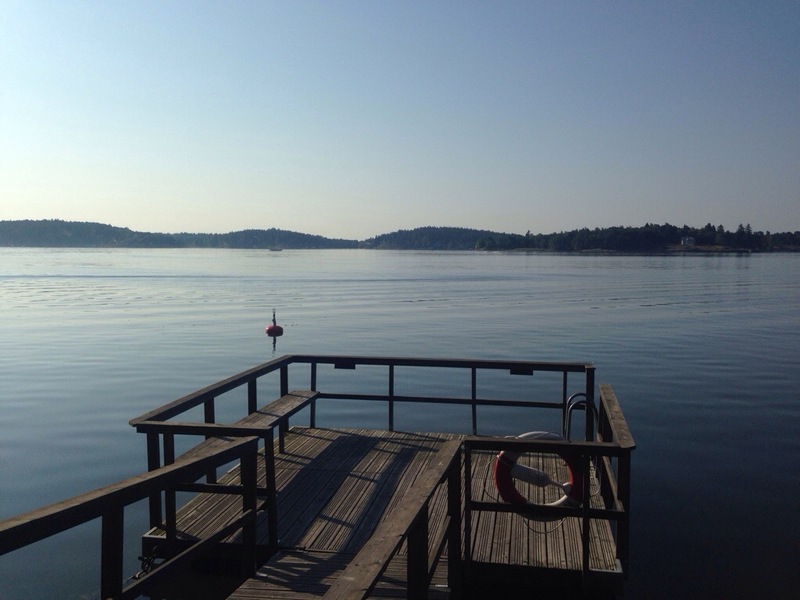 Greetings from sunny Sweden. We have returned to our roots for a few precious weeks and are delighted by the beautiful weather, warm waters (relatively), pregnant berry bushes and the never ending light. It’s good to be back. This morning my daughter decided to investigate edibles from the many trees and bushes featuring in our amazing garden and stopped by the green peas. They were still flowering beautifully and I had brought much bloom into the house in the days prior but it was the pods that seemed to take my daughters fancy and she asked me what we could do with them. I suggested including them in a salad and she agreed. 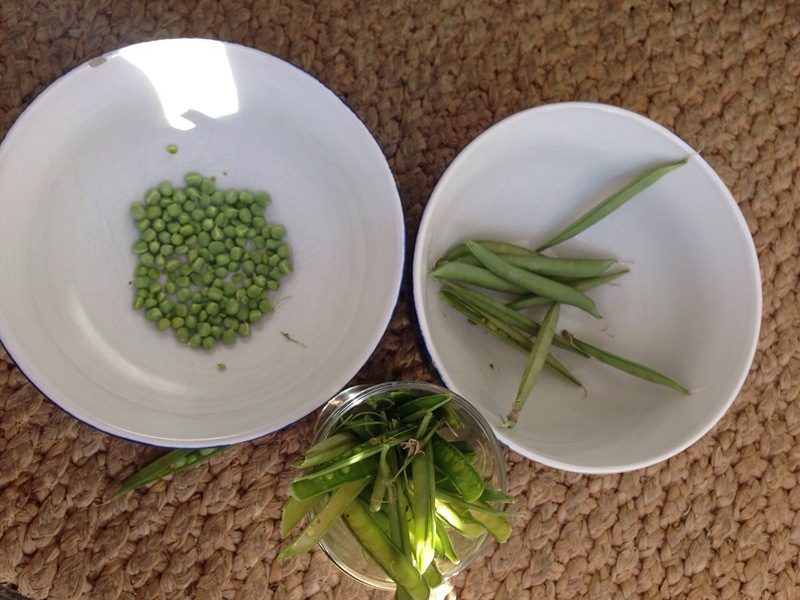 We spent the afternoon shelling the peas (most of them tiny but perfectly formed) and working out which to use and which to discard. 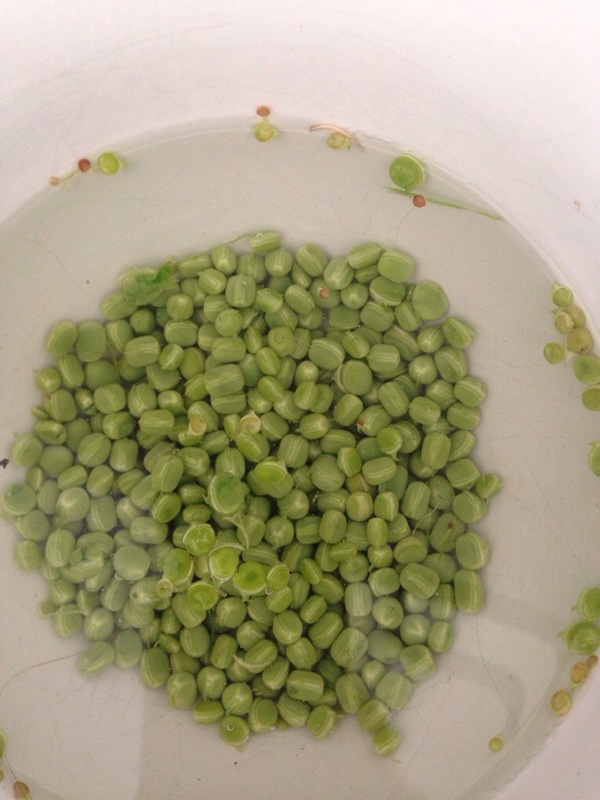 In the end we had a bowl of tiny, green pearl sized peas. We were ready for action. As our holiday fridge is tiny we had to make do with whatever was in it – in other words, we had to be creative. 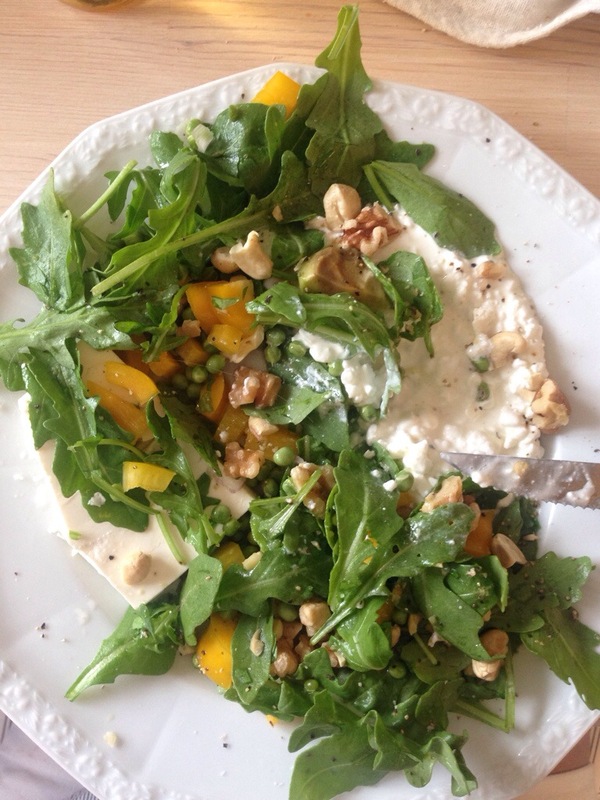 We found rocket, feta, a bit of cottage cheese, walnuts and cashews, a yellow pepper, charlotte onions and some oil and vinegar. Sea salt and black pepper was added as a final touch and the salad ended up being fresh, crunchy and tasty, including veg from our garden, lovingly prepared by my daughter. Bliss. The end result was utterly delicious….